At Willingboro Veterinary Clinic we strive to keep your pets happy and healthy. To assist you, we have a special dental package available. Package includes pre-anesthetic blood work, IV catheter and fluids, complete dental exam, monitoring of vitals, full mouth x-rays and ultrasonic cleaning and polishing. Like their human family members, all pets need dental care. 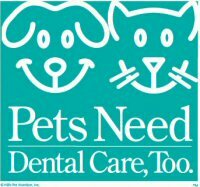 Come visit our veterinarians and staff to help give your pet a great and healthy smile!